Click Image Below to View Slide Show of Demo and Past Projects. 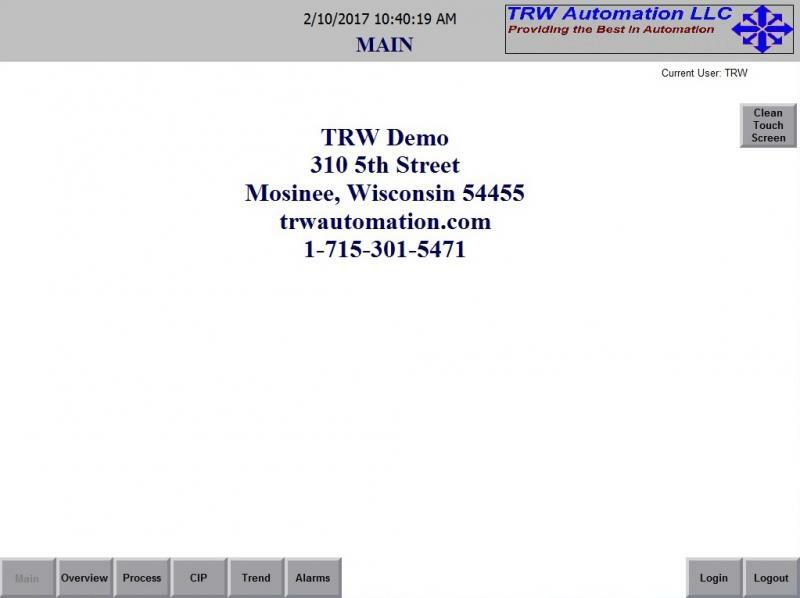 Call us to set up a visit from TRW Automation LLC and we will show you a simulation of the Demo Project and discuss your Automation Projects. At TRW Automation LLC we offer full automation engineering at an affordable cost. With 20 years of experience we offer PLC Programming, HMI Application Design, PLC Cabinet Design, Commissioning, Startup and Training. User Friendly Process control is our expertise. We are experts in Rockwell Automation software packages such as (RSLogix 5, 500, 5000), (RSView/FactoryTalk ME, SE, SE Distributed,32), Allen Bradley hardware (PLC5, SLC, CompactLogix, ControlLogix, MicroLogix, Panelview, VFD, Servo, etc. We are proficient in Siemens software and hardware such as PCS7, (Step 7 300, 400), Win CC, Win CC Flexible, drives, servo, etc. If you are a large company and your current engineering staff is having trouble meeting projects milestone requirements let TRW Automation LLC assist in meeting project goals. If you are looking for a successful Automation Project look to TRW Automation LLC. We can determine exactly what the required Automation Process needs for design, hardware, software, programming, and HMI development. We will also be able to train your staff and provide maintenance to the systems we design. Through affiliations we can have panel builds to UL 508 and installation as well. We will also build scalable systems so when your company grows the systems will be able to grow with you. Contact us and we can show you examples of projects we have completed and talk to you about our unique control philosophy. We can also adapt to your control philosophy in every detail. So call us today and we will make your Automation Project a success. We provide professional Automation Engineering at an affordable cost. We maintain good customer relations by listening to our customers needs. We like to think Automation Projects are a partnership between the customer and ourselves. We will become as involved in the automation process as our customer requires.